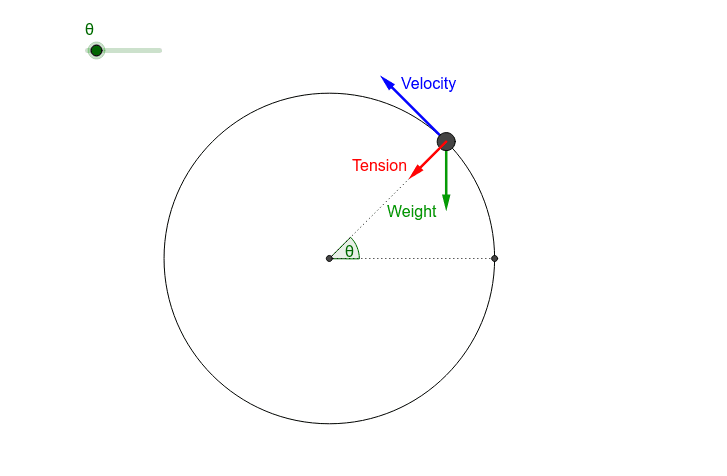 Click on the arrow to run the animation and notice how the direction of the vectors changes. The tension also changes in magnitude. You can stop the animation and move the slider so that the object is at the top and the bottom. What do you notice about the forces in these positions?